Once again, Civic Trust Auckland participated in the 2015 Auckland Heritage Festival, offering talks by landscape historian John Adam, and our President, heritage expert, Allan Matson. 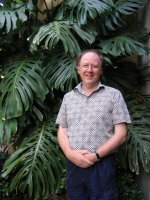 John Adam shared his knowledge of how to undertake historical research using records from the Auckland region, at two sessions on Saturday 3 October and Thursday 8 October at the Pioneer Women’s and Ellen Melville Hall, Freyberg Place, CBD. 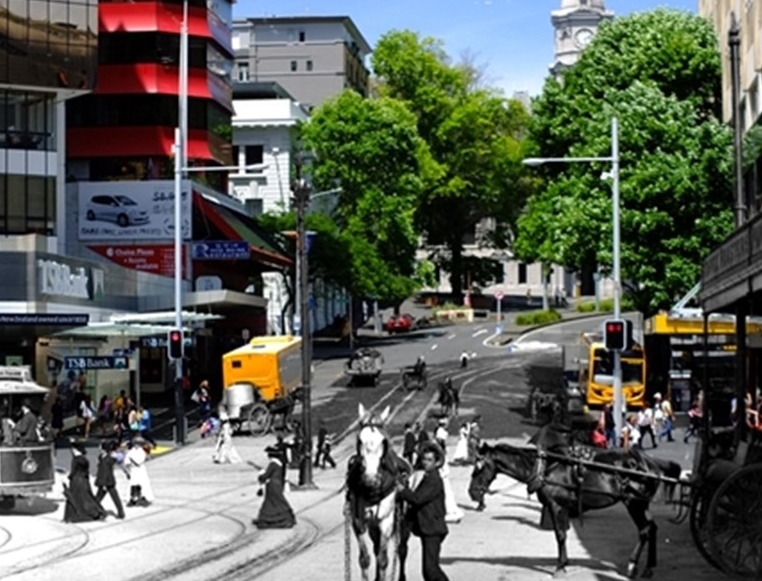 Mark Bishop also showed a short series of intriguing photomontages, which combined historic photographs of heritage areas of Auckland, with present-day colour images merged in. 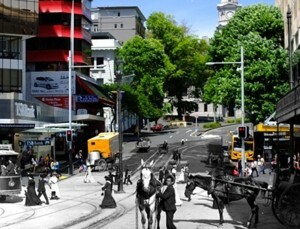 They are also here on Our Auckland. President Allan Matson provided his yearly update on the outlook for our architectural heritage, as Auckland’s Unitary Plan process unfolds, at two sessions, on Wednesday 30 September and Saturay 10 October, also at the Pioneer Women’s and Ellen Melville Hall, Freyberg Place, CBD.